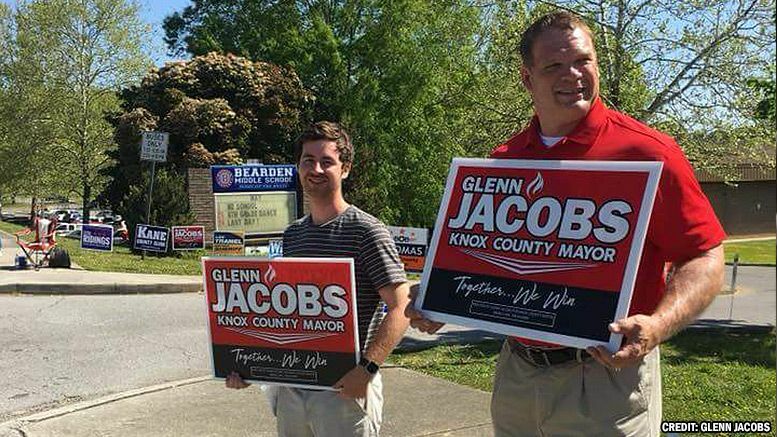 Fifteen months of campaigning comes to an end on Thursday for Glenn Jacobs — who you may know as WWE’s Kane — as he looks to win the mayor’s race in Knox County, Tennessee. During that period of time, he’s shaken hands, kissed babies, and eaten his fair share of catfish dinners while talking to rotary clubs, women’s groups, and boy scouts. He’s also battled Brock Lesnar and Braun Strowman for the Universal Championship, landed in the final four of the Andre the Giant Memorial Battle Royal at Wrestlemania, and hugged it out with Daniel Bryan as Team Hell No reunited last month. 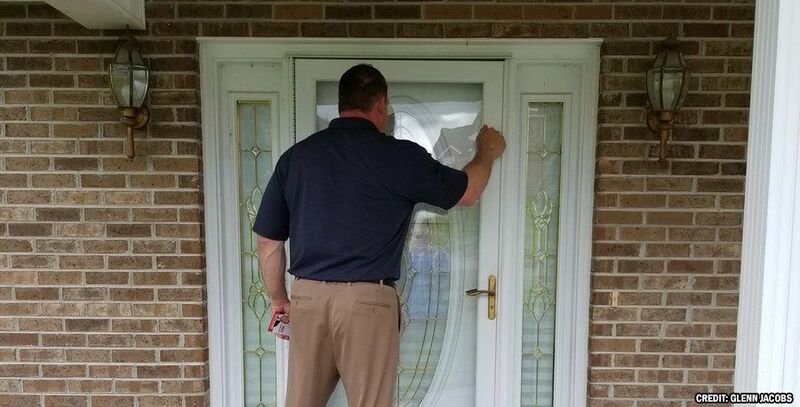 The dual life of politician Glenn Jacobs and wrestler Kane culminates Thursday as voters head to the polls to pick their next mayor. And just like many of his matches in the squared circle, Jacobs is expected to win. Knox County leans red and then some. In May’s GOP primary, Jacobs collected more than 14,000 votes. In comparison, his Democratic rival Linda Haney received 4,250 voters in her primary. Plain and simple, there are far more GOP voters than Dems. That primary was probably Jacobs’ tougher test. He barely squeaked by his closest Republican rival winning by a mere 23 votes. Since then, he’s shined in mayoral forums and picked up a key endorsement from the Knoxville News Sentinel. If Jacobs wins, he follows in the footsteps of WWE legend Jessie Ventura who served as mayor of Brooklyn Park, Minnesota in the early 90s. Much like Jacobs, critics questioned whether a wrestler could lead a city. As we later found out, Ventura did pretty well for himself — later being elected Minnesota’s governor. Unlike Ventura, Jacobs would be a mayor and potentially active wrestler. It was just two weeks ago when Kane stepped into a WWE ring at Extreme Rules. Back in May, he even told Pro Wrestling Sheet he wouldn’t rule out competing as mayor. While it looks like Kane’s next WWE run would include the title “mayor,” we know politics can be a lot like wrestling. Stick to Pro Wrestling Sheet Thursday night for coverage of the results after the polls close.